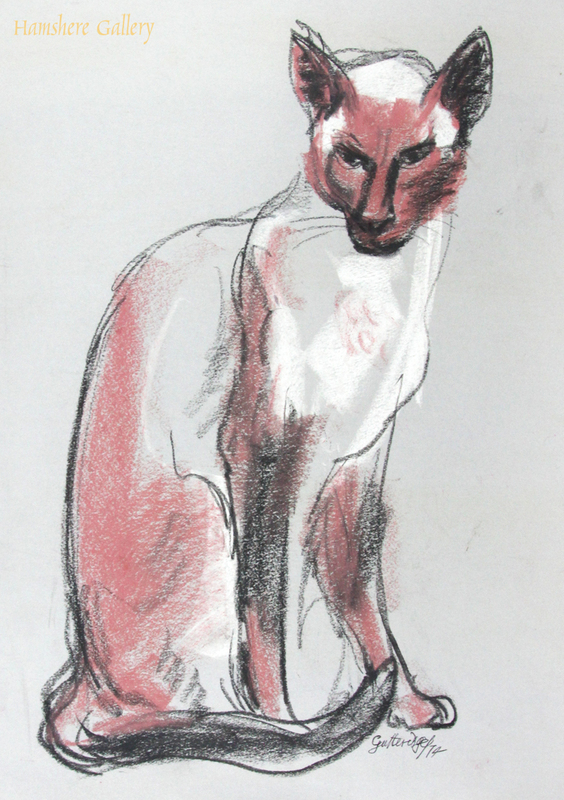 Red crayon over charcoal of a seated Siamese cat, a favourite subject of the author and artist Thomas Gordon Lindsay Gutteridge (English, 1923-1907) . Signed and dated bottom right "Gutteridge/74". English 1974. 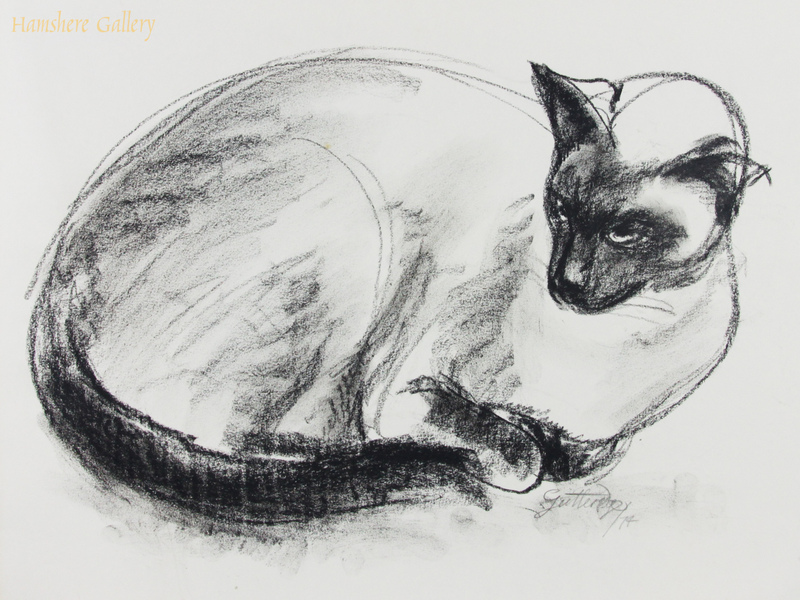 Charcoal study of a recumbent Siamese cat, a favourite subject of the author and artist Thomas Gordon Lindsay Gutteridge (English, 1923-1907) . Signed and dated bottom right "Gutteridge/74". English 1974. 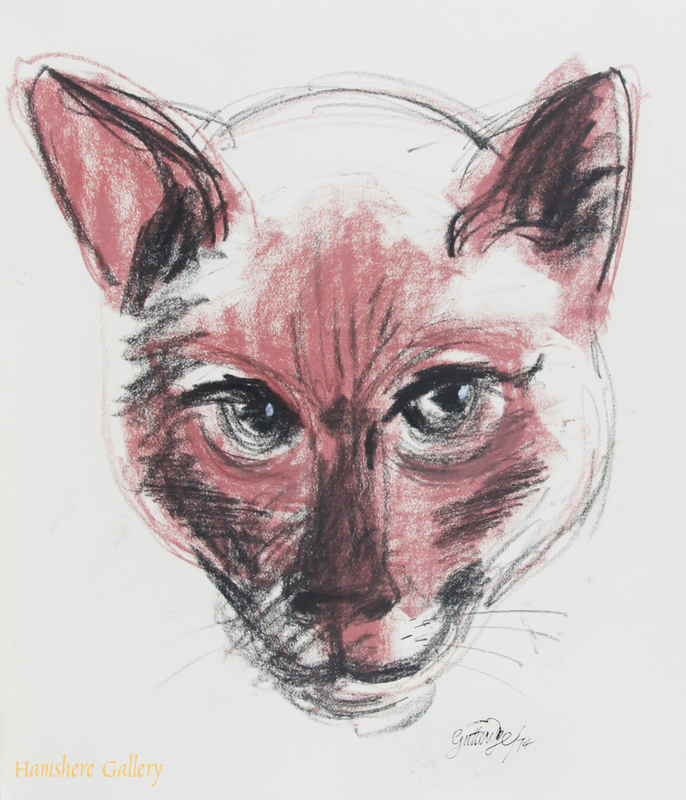 Red crayon over charcoal of a head study of a Siamese cat, a favourite subject of the author and artist Thomas Gordon Lindsay Gutteridge (English, 1923-1907) . Signed and dated bottom right "Gutteridge/74". English 1974. 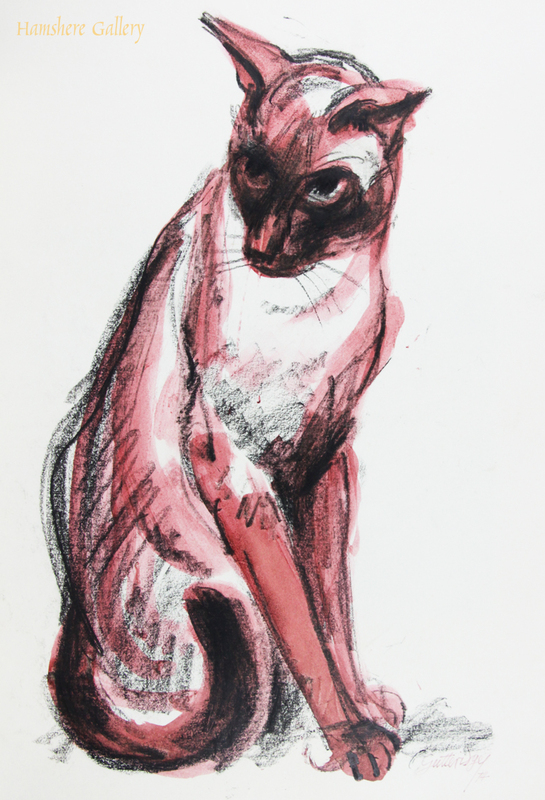 Water wash over charcoal of a seated Siamese cat, a favourite subject of the author and artist Thomas Gordon Lindsay Gutteridge (English, 1923-1907) . Unsigned. English circa 1974. 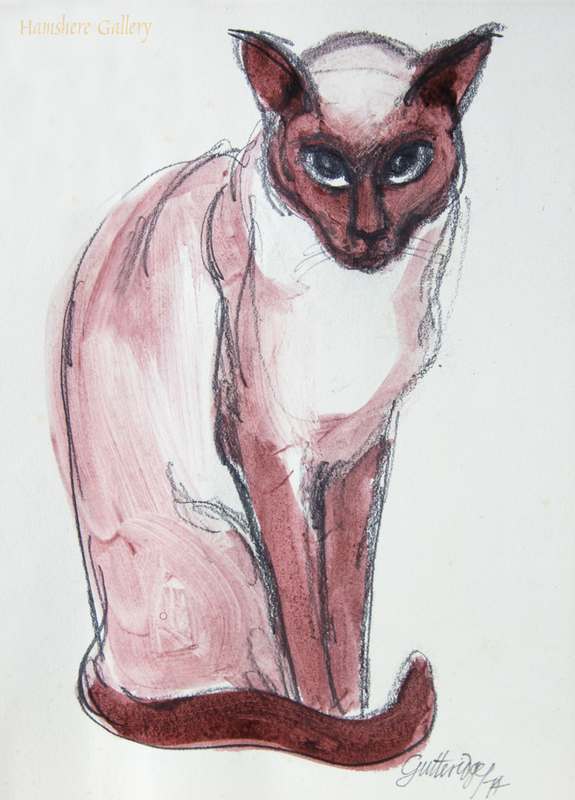 Water wash over charcoal, with watercolour detail of a seated Siamese cat, a favourite subject of the author and artist Thomas Gordon Lindsay Gutteridge (English, 1923-1907) . Signed and dated bottom right "Gutteridge/74". English 1974. 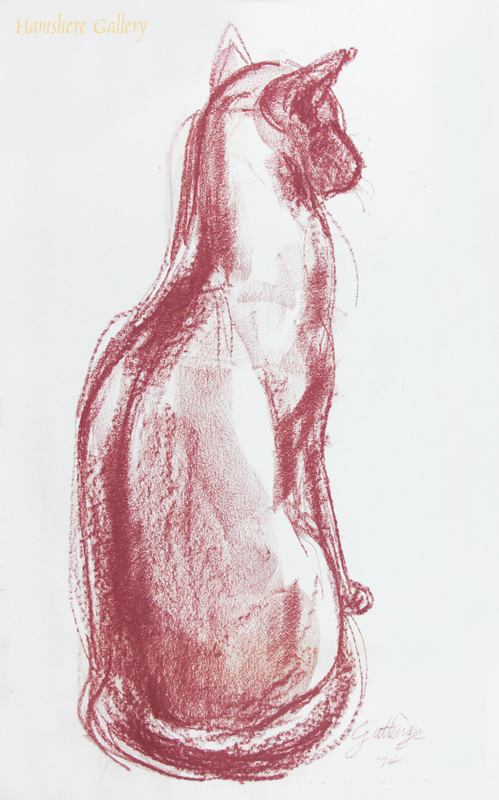 Red crayon study of a seated Siamese cat, a favourite subject of the author and artist Thomas Gordon Lindsay Gutteridge (English, 1923-1907) . Signed and dated bottom right "Gutteridge/74". English 1974. 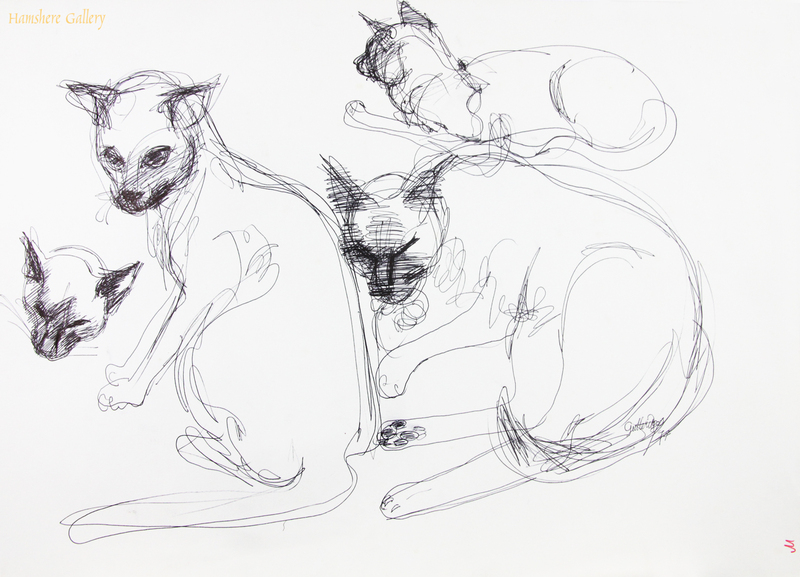 Pen and ink studies of Siamese cats, a favourite subject of the author and artist Thomas Gordon Lindsay Gutteridge (English, 1923-1907) . Signed and dated in pen and ink bottom right "Gutteridge/74". English 1974. 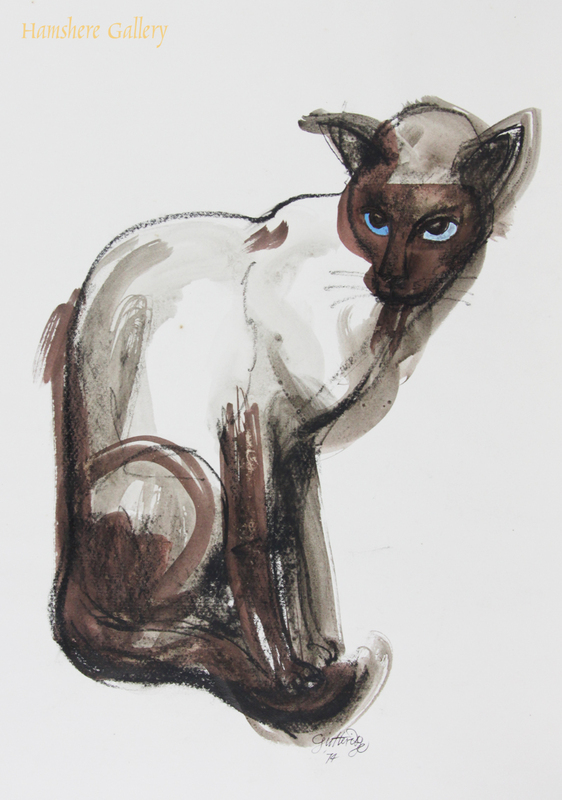 Water wash over charcoal a seated Siamese cat, a favourite subject of the author and artist Thomas Gordon Lindsay Gutteridge (English, 1923-1907) . Signed and dated bottom right "Gutteridge/74". English 1974. 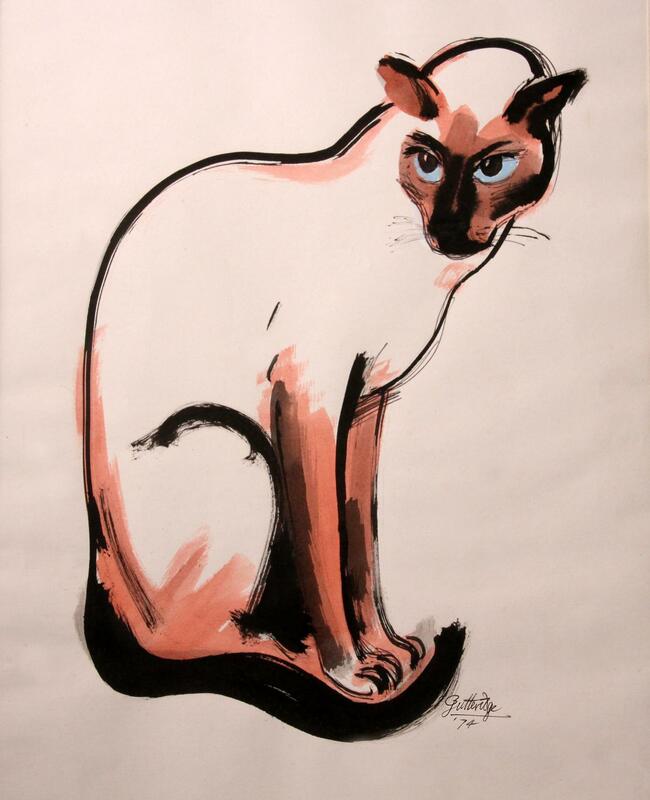 Watercolour on paper of Poppy, a Siamese cat, a favourite subject of the author and artist Thomas Gordon Lindsay Gutteridge (English, 1923-1907) . Signed "Gutteridge '74". On the reverse mount signed "Lindsay Gutteridge". English 1974.